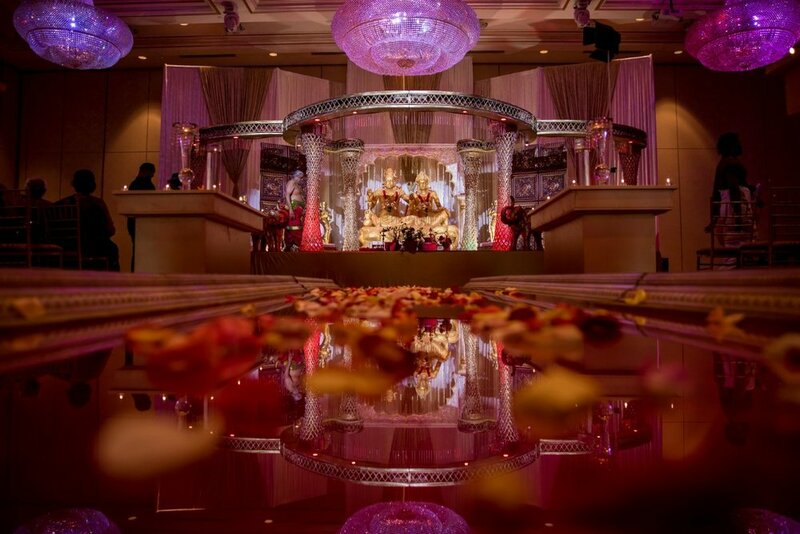 Reception decor: Geethams Event Decor Inc.
Tanya's Wedding Corner - The Ultimate Guide to "That Perfect Thaali Shot"
“The Thaali Shot” – sounds intimidating, don’t it? 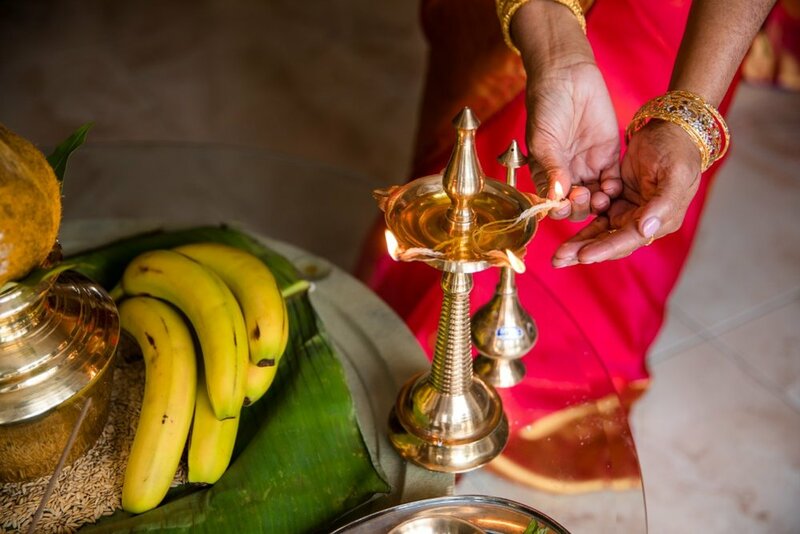 If you’ve been a part of a Tamil wedding (or are going to have one), specifically a Hindu one, this article is for you. But be warned... it's a doozy - very long, but very thorough. It wouldn't be an ULTIMATE guide to anything if it was four sentences and a photo, right? So go and grab a cup of tea and come back when you have a minute, or ten; I'll wait. 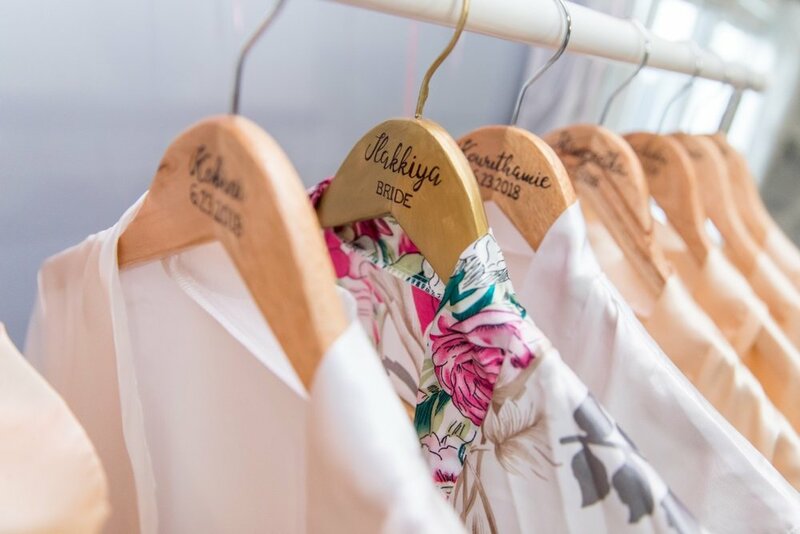 Each part of the wedding day has its perks: early morning prep bustles with nerves, giddiness, and anticipation, post ceremony is laced in joy, love and warmth, and the reception is drenched with tear-filled speeches and sweaty moves on the dance floor. 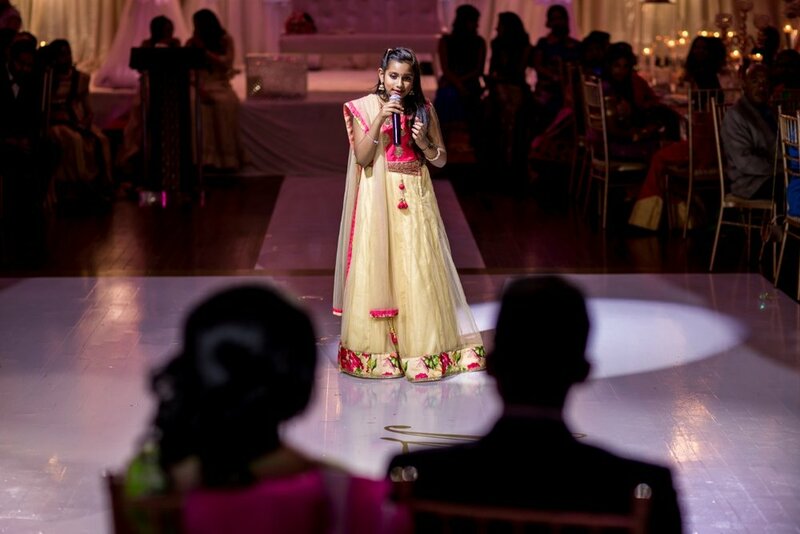 With all of this said, my very favourite part of a wedding is the ceremony itself. 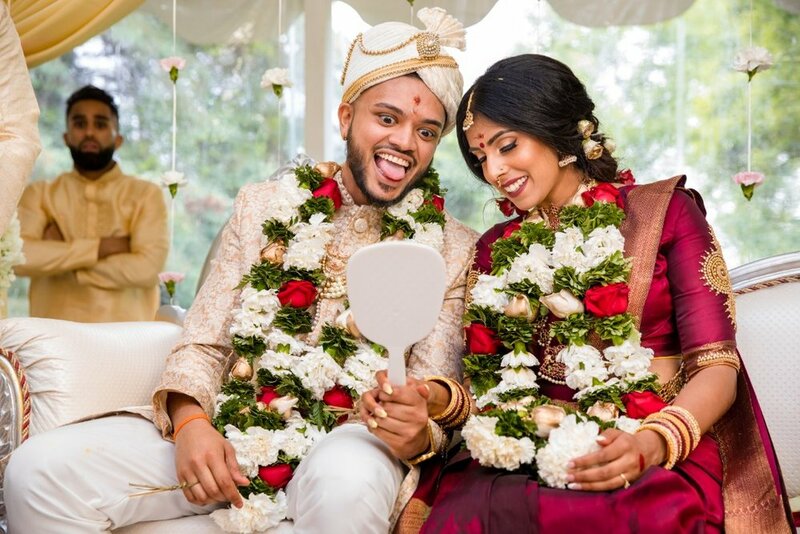 A large portion of our clientele are Sri Lankan Tamil Hindus and the moment that the wedding becomes official, the tying of the Thaali (wedding necklace) is riddled with excitement and adrenaline. 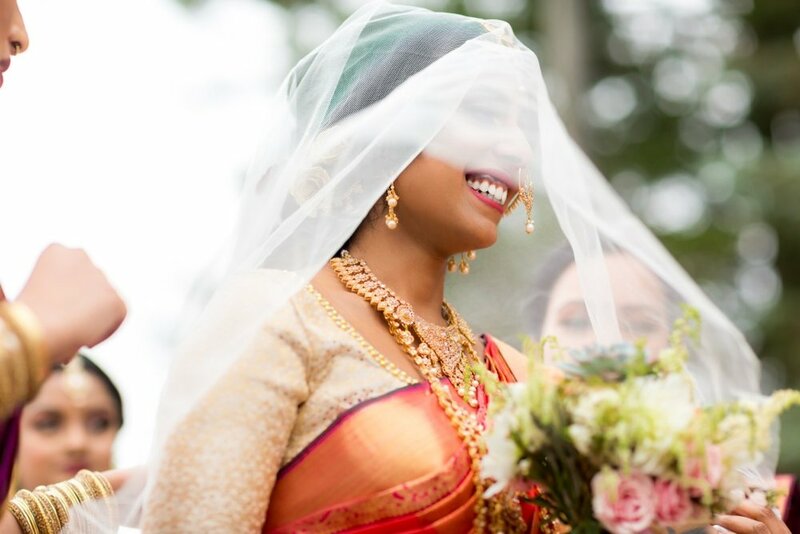 The bride was just whisked away to quickly change into her koorai saree (wedding saree), and makes her way down the aisle clutching on a maala (garland). Headed towards her patiently waiting, soon-to-be husband, they are ready to embark on the rest of their lives together. The couple's nearest and dearest come up on the stage, flowers clenched between fingers, ready to shower the couple with blessings. 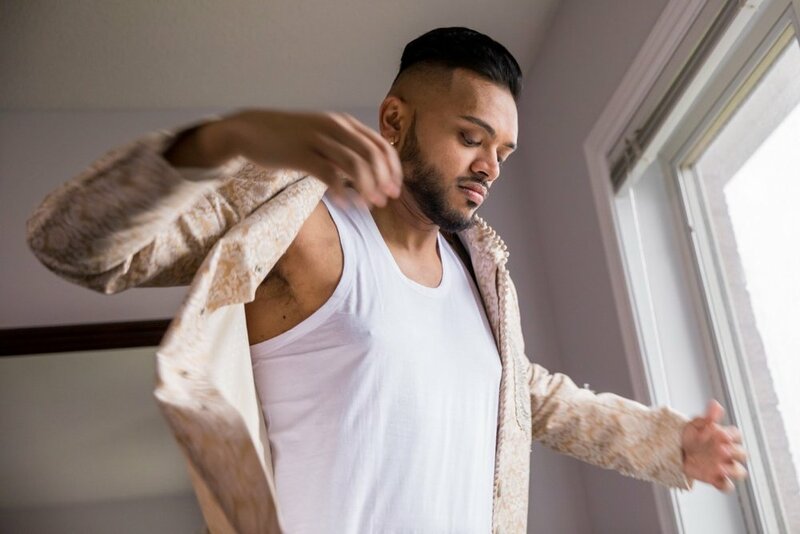 The priest nods to the groom to go ahead and tie the knot as the band blares in climactic excitement, the guests pray, and thrown floral petals shower over the bride and groom. Whether shooting or as a guest, you will always find my eyes welling up with tears. It is beautiful, emotional, and exciting every time - it never gets old. 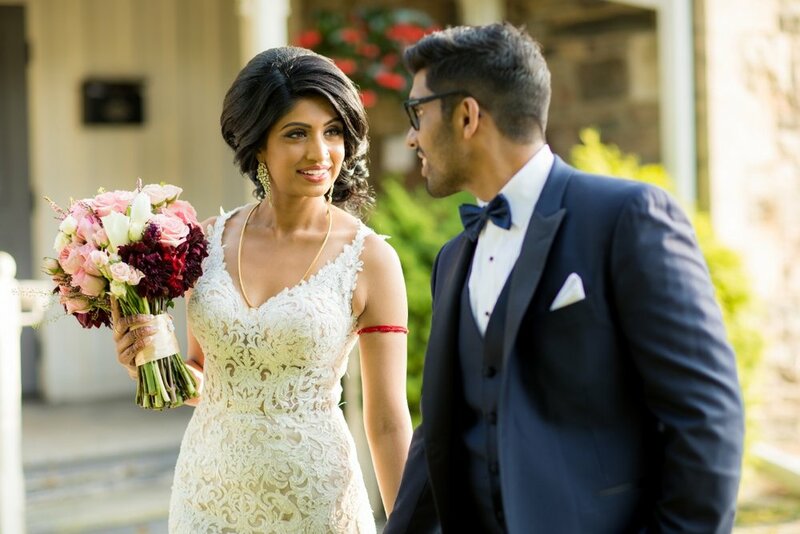 Being able to look back at that sentimental moment that is so special to couples and their loved ones. Unfortunately, for a myriad of (absolutely legitimate) reasons, the photo can end up being less than ideal. 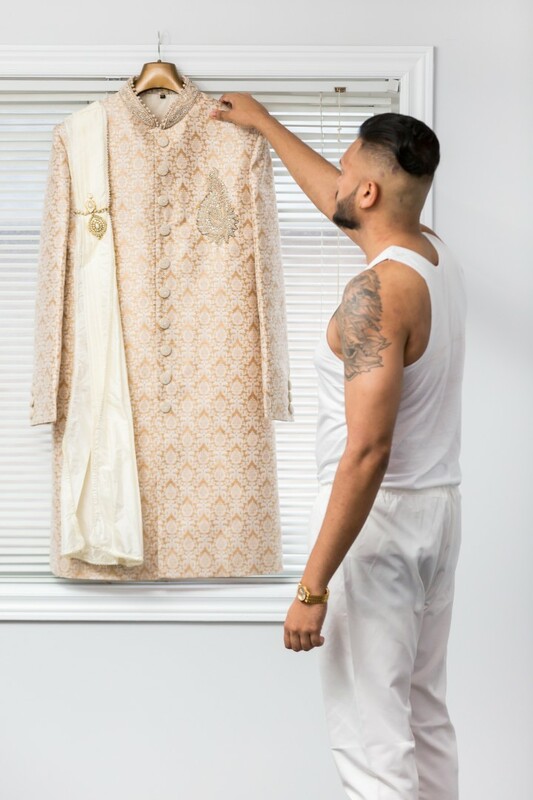 As you can imagine from the description above – there is no shortage of stress, especially on the part of the groom. Typically, Annu and I don’t like to orchestrate moments. If any of the mishaps outlined below happen, we don’t turn into directors - we let it happen naturally and we will adjust accordingly to get our shot. BUT! 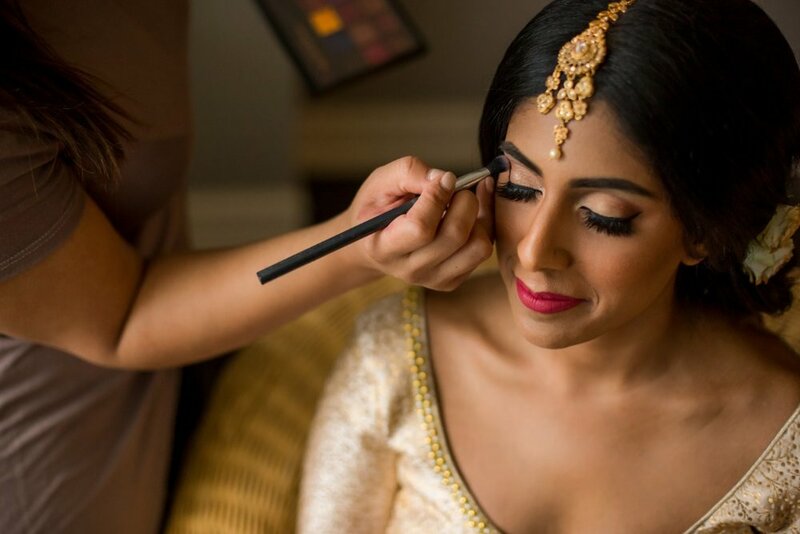 We also have the unique perspective of being behind the scenes to literally hundreds of weddings – we’ve seen one or two Thaali moments in our day. With this knowledge, we like to advise (read: warn) our couples of different things that can happen during that moment – just in case they’d like to avoid that and it might subconsciously sink in :). 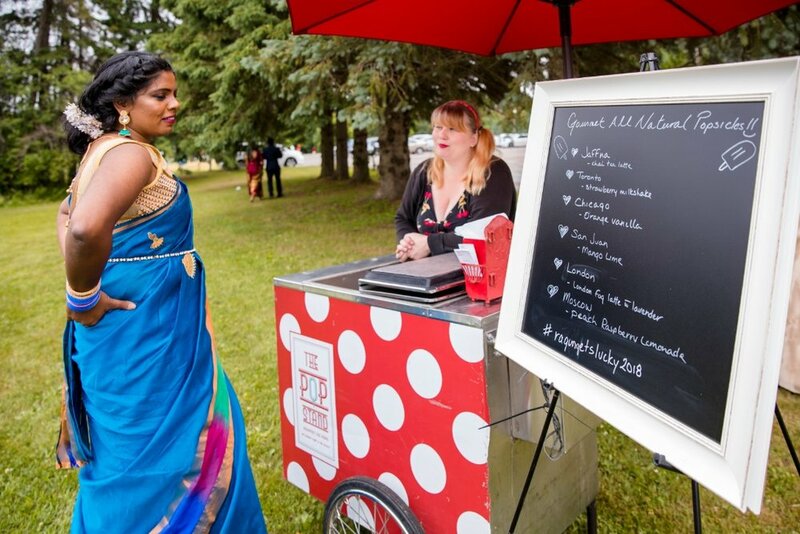 I myself like to know all angles of a situation, so I can make an informed decision, which is why I tried to think of everything that could possibly influence that perfect Thaali moment. Before we get into the weeds of what makes or breaks a Thaali shot, there are a few things that are good to get some context on. Angle 1: The wide angle - this is either done from front and centre, or just off to the side - depending on the set up of the priest's ritual area, the decor, and the guests. 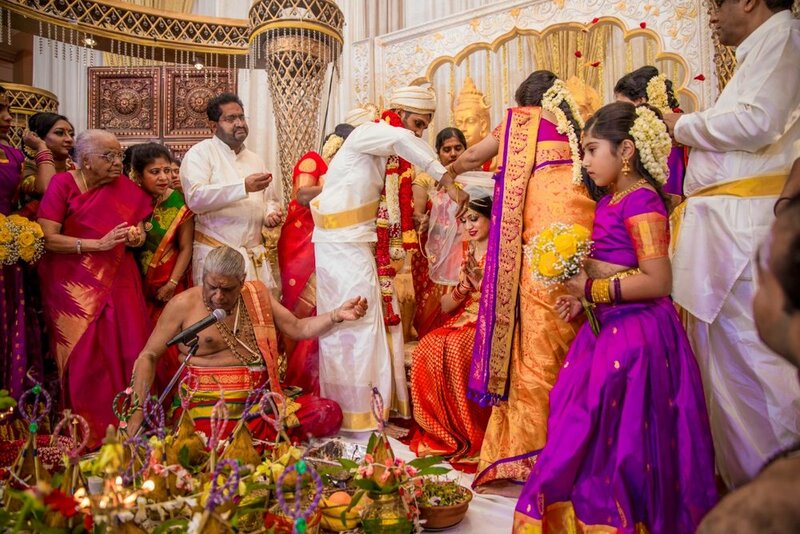 This is done to not only capture the couple, but also the loved ones around them showering them with blessings. Angle 2: Off to an angle - probably about 45 degrees from the couple to get that optimal profile of both of them. 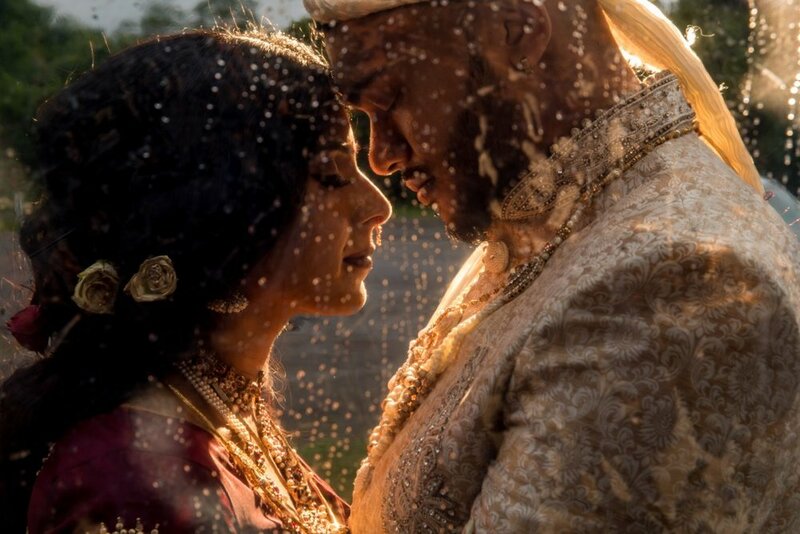 This helps to show the connection between the bride and the groom in that Thaali moment. Another thing to know about is that there are three options of going about the tying (screwing) of the Thaali. Option 1: Let the Thozhi do it (Perfect Thaali Photo Moment Risk Level: Low). 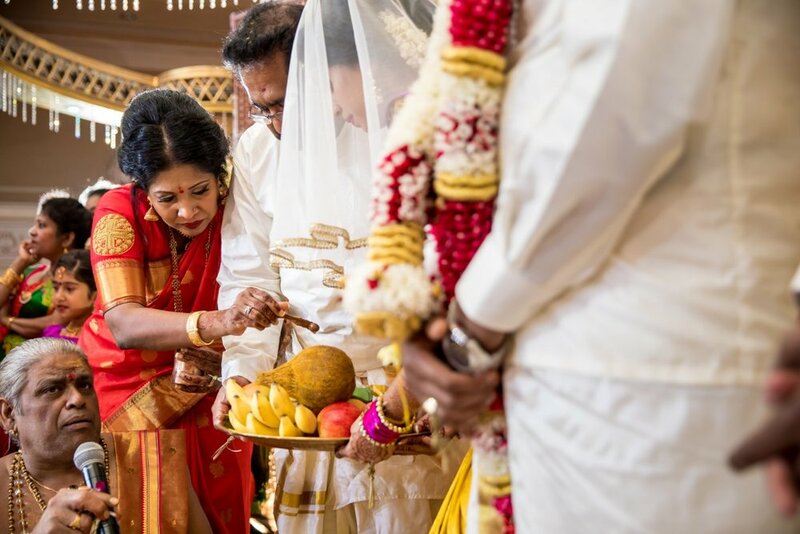 Traditionally, this is the way the Thaali was always tied - only recently did brides and grooms insist on having the groom put it himself. The plus side of this is that it increases your chances of getting that photo because there's a huge relief of pressure on his part and he can concentrate on “not ruining" the photo (you'll hear more about this soon). Added bonus points for keeping the parentals happy by going the traditional route with this option. The perfect shot - the bride and the groom have a clear connection, she's not blocked in any way. There are flowers falling and action happening around them. 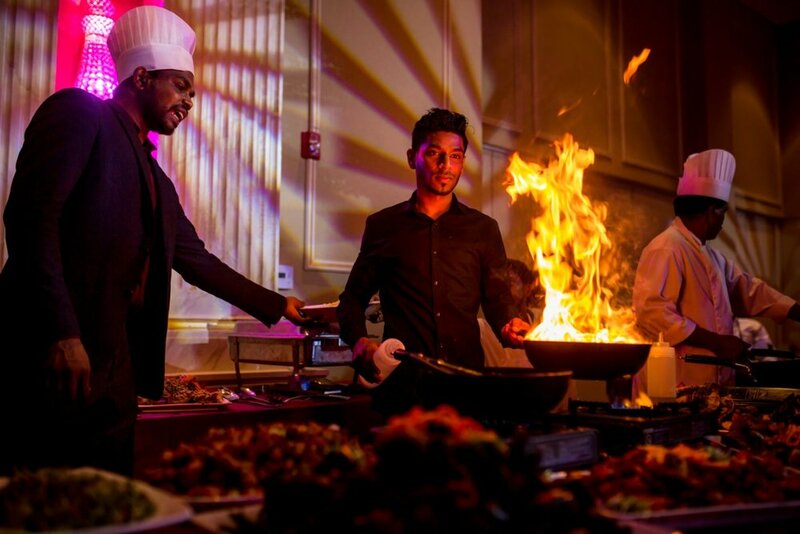 Focus and action from surrounding guests are all on them and the lighting is gorgeous. The perfect, perfect shot. Option 2: Let the groom do it, take the safer route, and get the "good photo" (Perfect Thaali Photo Moment Risk Level: Medium). 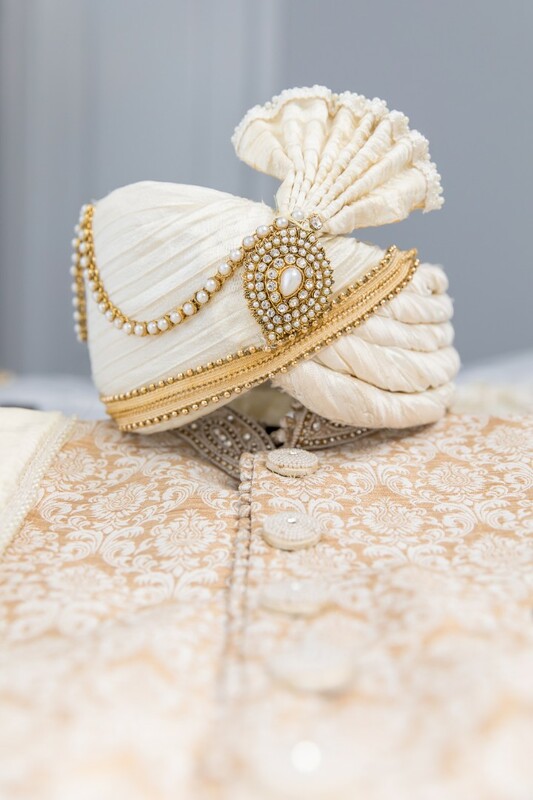 In this option, the groom takes the Thaali and places it around the brides neck, but his full position goes behind her. 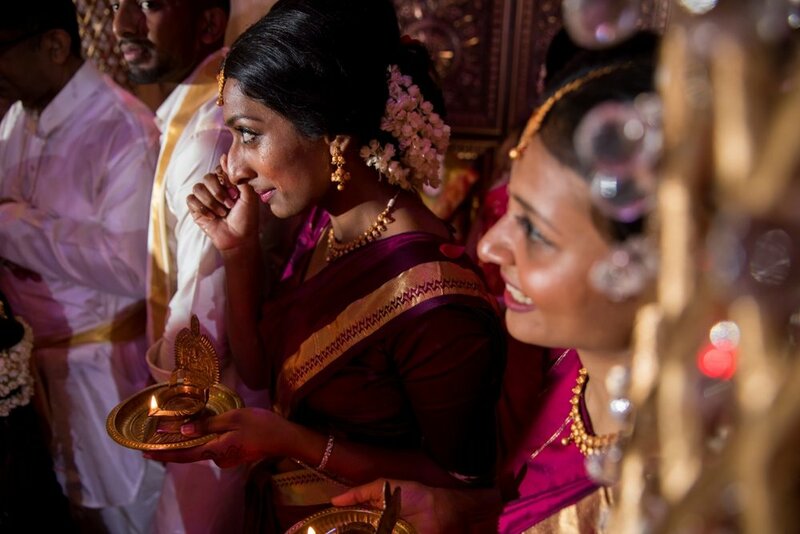 His concentration is fully on the Thaali, and as long as he doesn't block the bride from the front, you have a decent Thaali pic where the bride's face is in full view. 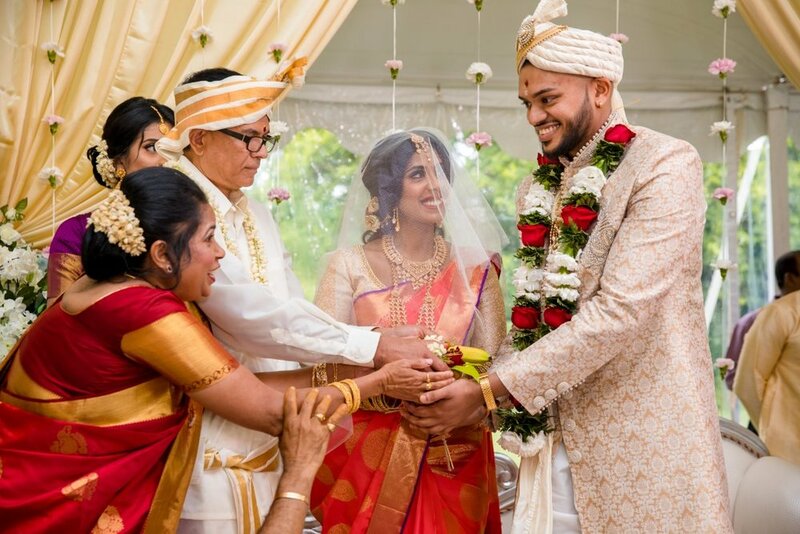 The plus side is that there is far less risk of the bride being blocked, the down side is that there is no full connection between the bride and the groom in this pivotal moment. 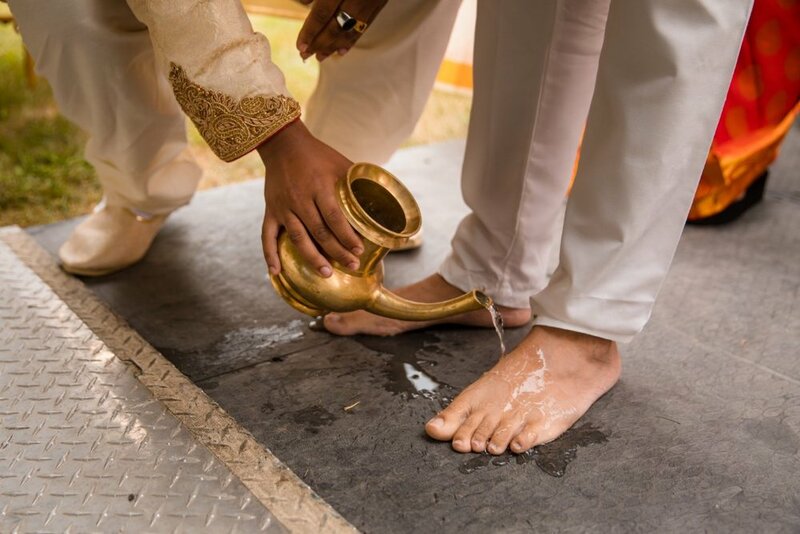 I think people who are realists like to go with this option because it's the best of both worlds - you get the groom do to the Thaali himself (something that is very important to couples, myself included) and you still get a beautiful photo. See? Not blocked from the centre angle. Not blocked from the side angle neither! 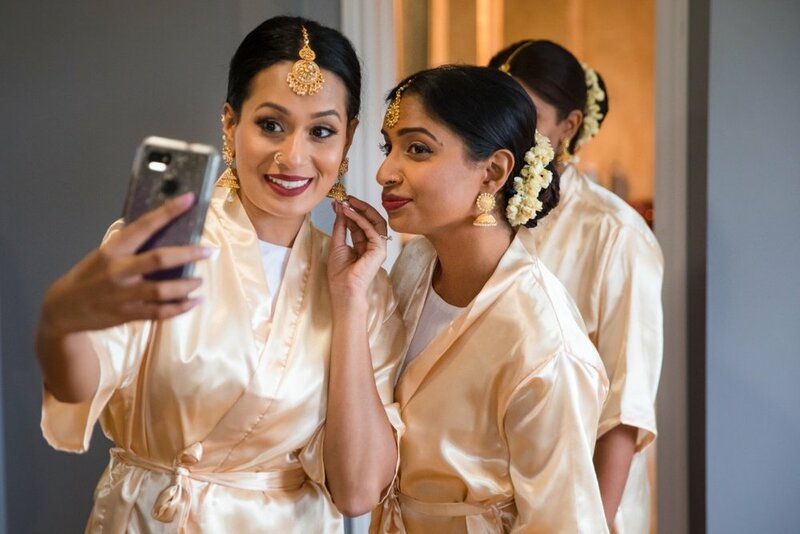 Option 3: Let the groom do it, take the riskier route, but get the best possible photo (Perfect Thaali Photo Moment Risk Level: High, Frequency: Rare). 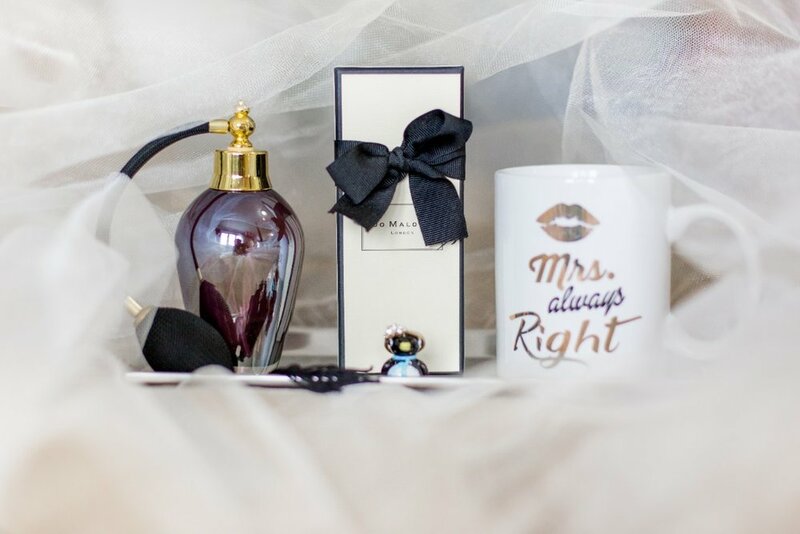 Whenever we lay out the options for a bride and groom, they almost always go with this option, no matter how risky. 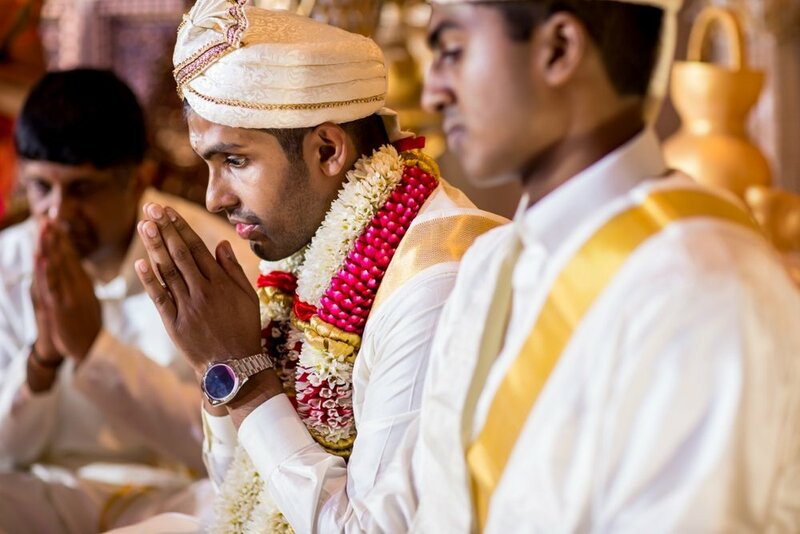 Today's couple wants to have it all - the groom put on the Thaali and the picture perfect moment. This is a difficult option, for sure, but it is by no means impossible. Below, I'll get into all of the complications that can arise. For this example, I turn to our own wedding! Somehow, Annu and I lucked out with our priest making Annu sit for the Thaali, something I wasn't expecting at all. I remember when Annu “came at me” with the Thaali, I said “yo, you gotta stand!” And he replied with “no, the aiyar told me to sit”. A “Thaali shot”, or how to get it, was not at all on my mind during that time - it was sheer luck. 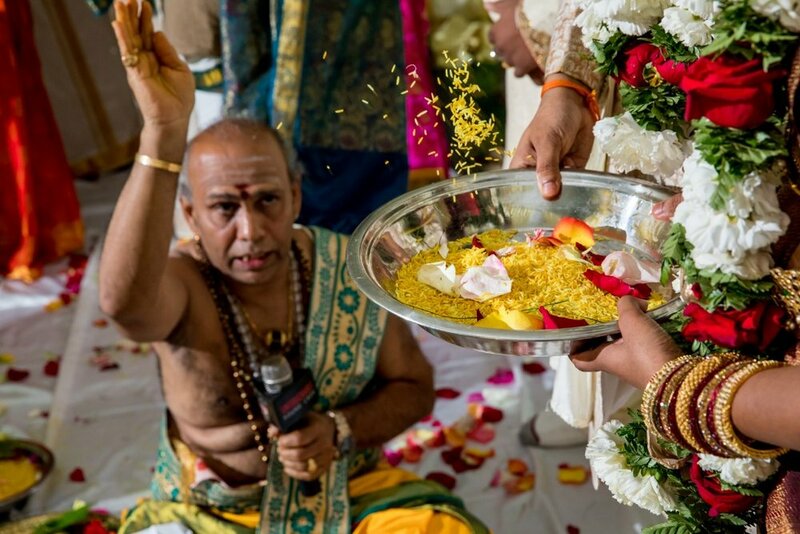 By shooting multiple weddings, I’ve come to realize that it’s almost only the priests from the Rochester Hindu Temple that ask grooms to do it this way, most ask groom’s to stand. But! 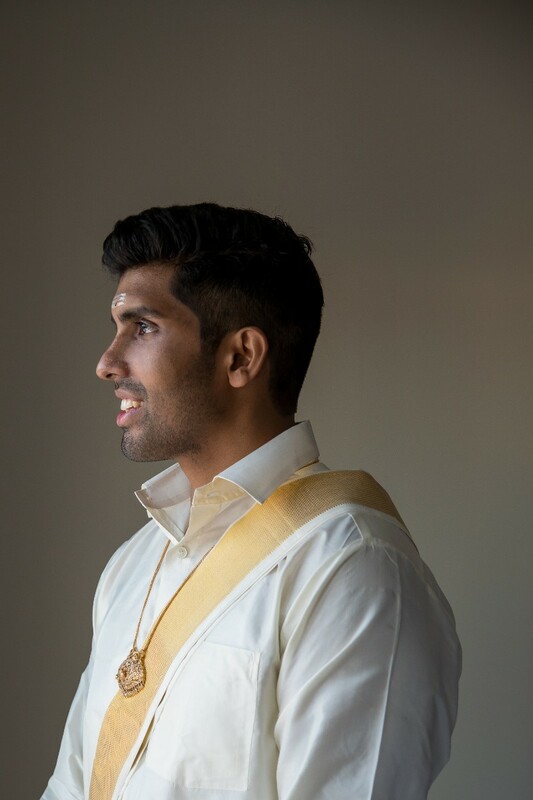 If you can manage to get your priest to approve a seated Thaali tying at your wedding - you're golden! Now that you have some background, I present to you all things that can influence that "Perfect Thaali Shot"! 1) Prep in advance - Typical thaalis come with a screw in the back and most of the time, the screw comes out completely. I'm not sure if it was the efforts of my detail-oriented mother-in-law or her jeweler, but she got one where the thaali screw locks so that you can't get it out completely. You can screw it in, and you can screw it out so that you can separate both sides, but you cannot take it off. Doing this helps one big issue that has happened on MANY mandirs - dropping and losing the screw. That is definitely not fun. What some do to avoid this fiasco is use a safety pin right at the Thaali moment. Instead of fumbling with a screw they have a safety pin that they just stick through and lock into place - they replace it with the screw when they get home after the wedding. Some don't want this route as they want to have the actual screw locked in for the Thaali moment - it's all up to you and what you prioritize. 2) PRACTICE PRACTICE PRACTICE! - Another part of prepping is practicing. 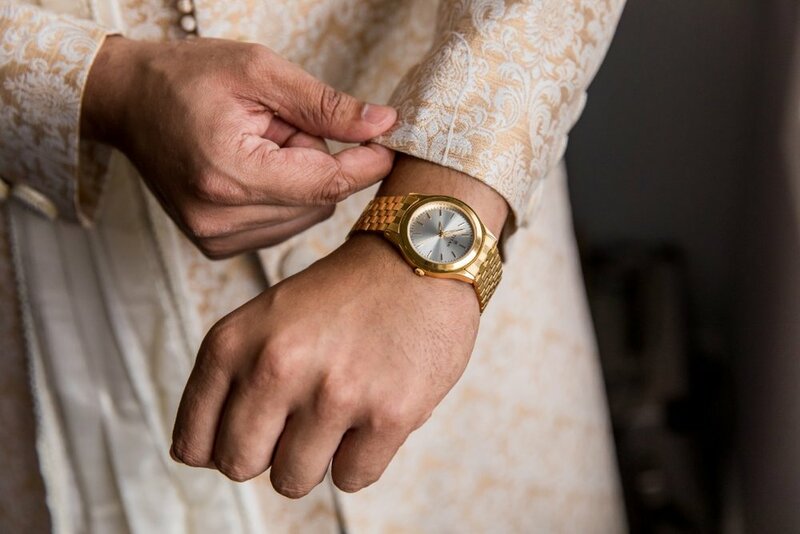 Whether it is being put on by the groom, or the thozhi (matron of honour), or an aunty, it's a good idea to get used to it ahead of time. This is especially true because South Asian jewelry stores don't always follow the Western worlds methodology of "righty-tighty, lefty-loosey", so sometimes you think you're tightening it when you're actually screwing outwards! (Hence why the screw fell on the floor!). 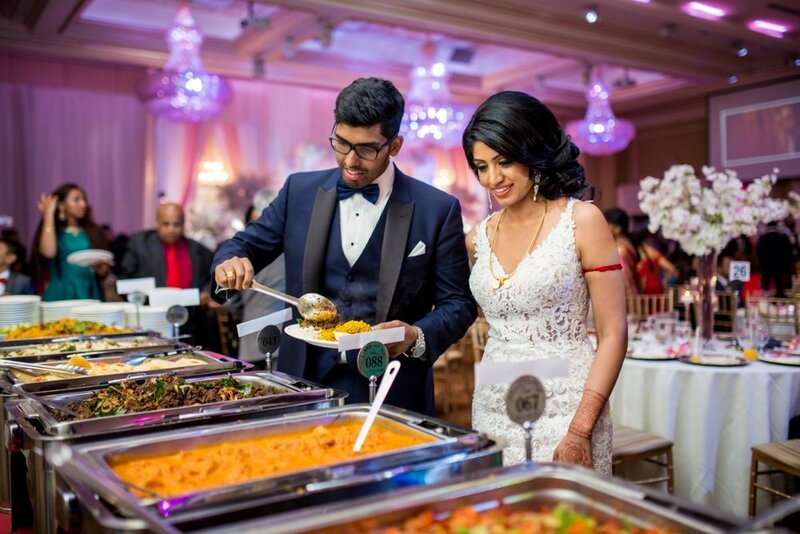 When couples have asked many questions about their Thaali photo in the past, we've even advised that they practice the motion ahead of time. 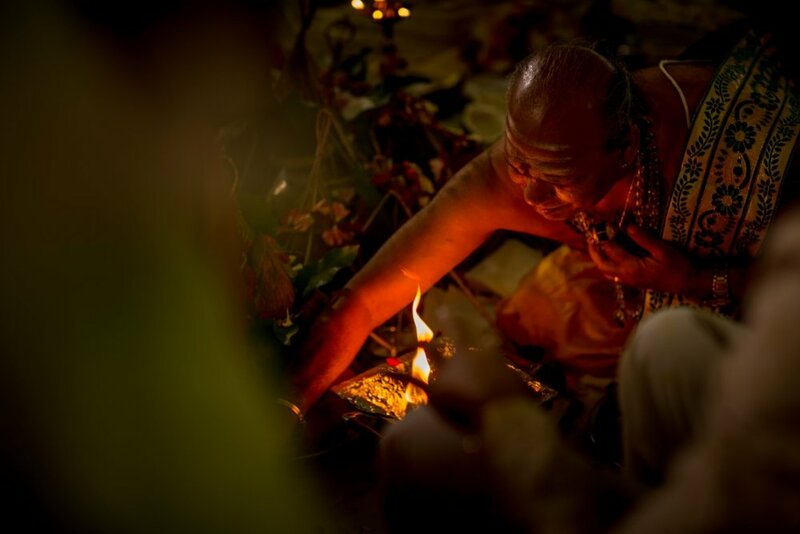 Once the bride is off to change into her Koorai, Annu usually gets the groom to practice with the Thozhan! A groom standing directly in front of a bride really hurts that front and centre angle. 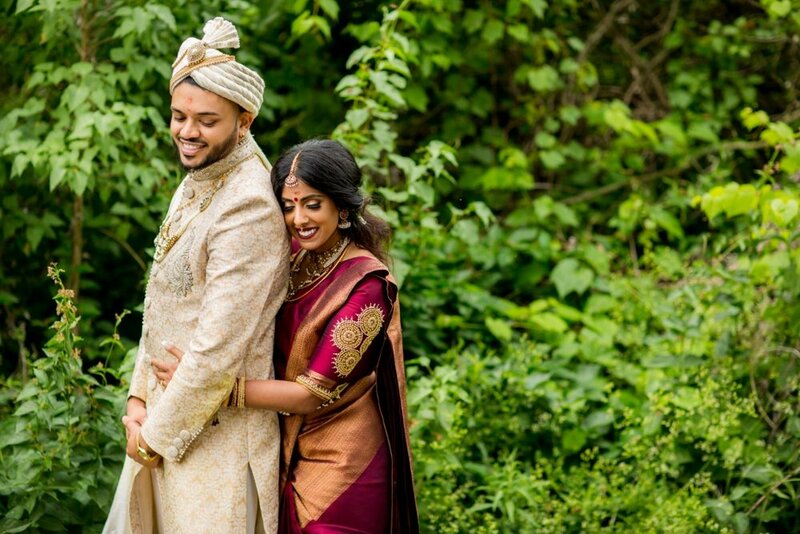 A groom who stands in front of his bride also hurts the side angle as he can't really look at his bride and therefore that connection is gone. 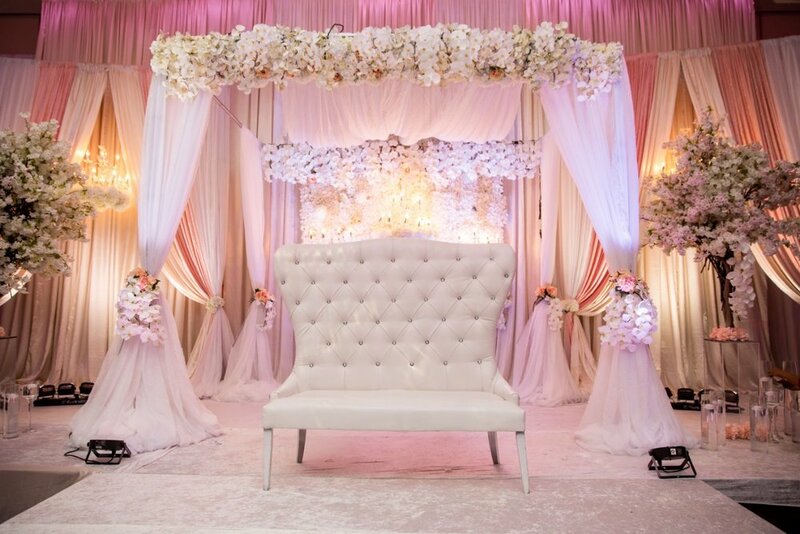 Ideally, the groom should stand just off to the side of the bride - do not go any further than one knee in front of her! To help the arms and elbows blocking the bride's face issue, the key is to bend with BOTH your back and your knees. You've gotta bend with your knees so you're not towering above your bride, and you have to bend with your back to get in close. BUT! If your squat game is too strong you may end up looking more like you are using the... *ahem* facilities, especially if you’re tall and your bride doesn’t have the tallest torso. Making sure that the seats you sit on are higher off the ground can help mitigate this risk as well. 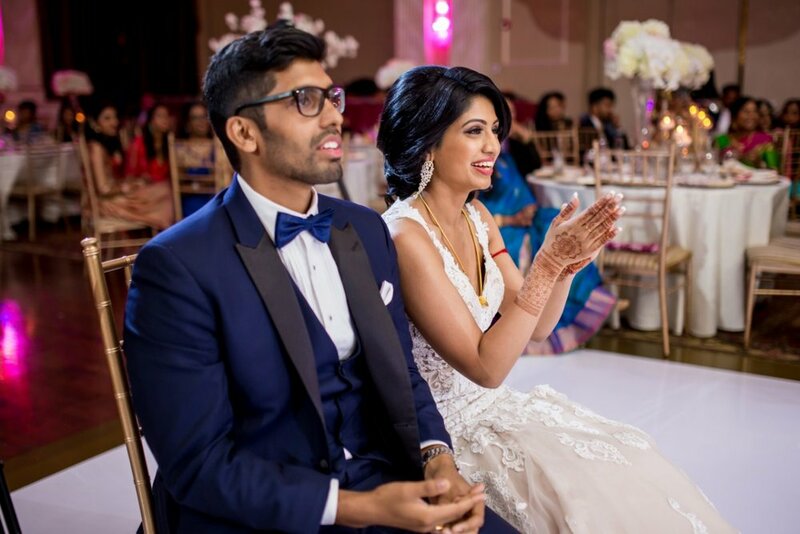 Grooms, keep those elbows down so we can see the bride's lovely face! 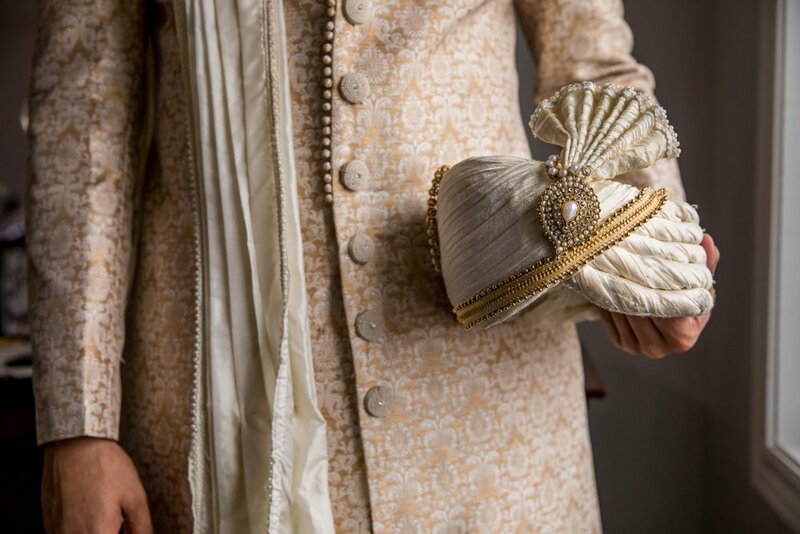 Garlands and shawls have whacked too many a bride in the face. To avoid this, you cannot hover over the bride or bend too little. These usually happen when you're too tall and towering above your bride. When the groom screws the Thaali himself, this is at risk to happen if he blocks the bride too much - she gets a mouth full of flowers. 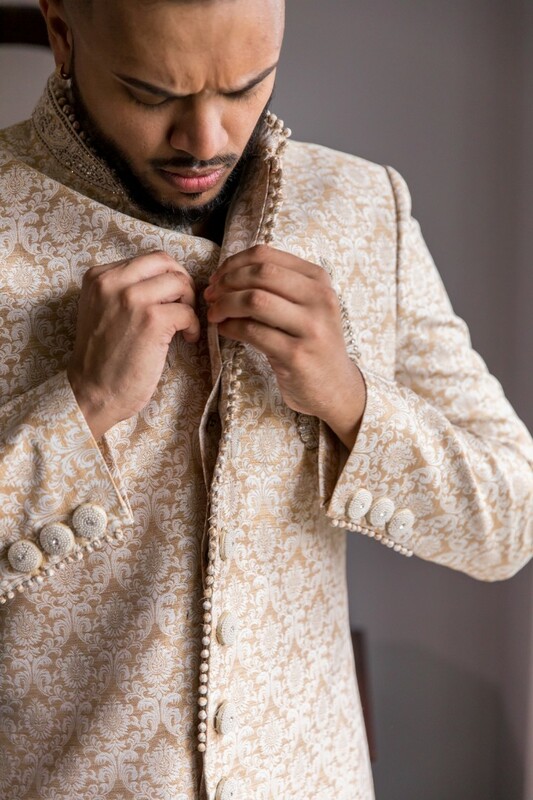 If you've had a shawl that is loose for the beginning of the wedding, it might be advisable to pin that ish back while your bride has gone to change. Take a look below. Imagine if Kartheep didn’t pin that shawl back?! Disaster! But no matter what, keep a smile on your face no matter what happens! 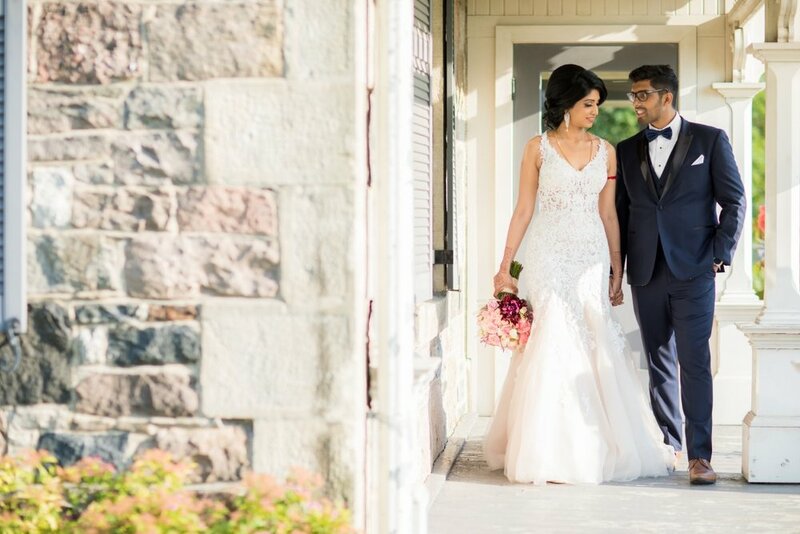 This is the biggest and best moment of your wedding - being happy throughout your ceremony is what results in amazing photos! 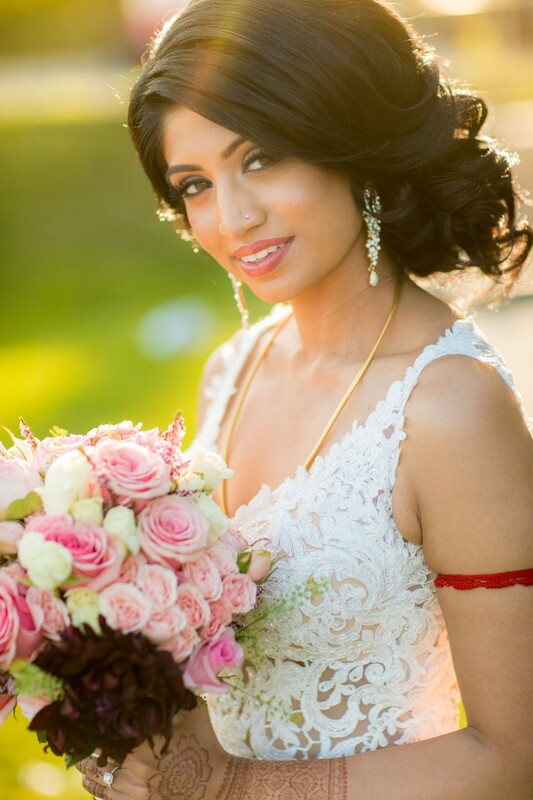 A smile is absolutely the most beautiful thing you can wear on your wedding day and ensures the best photos. A happy smile will always create happy photos, no matter what! 4) Wanna know something that will ruin a very heartwarming, loving thaali shot? A phone. 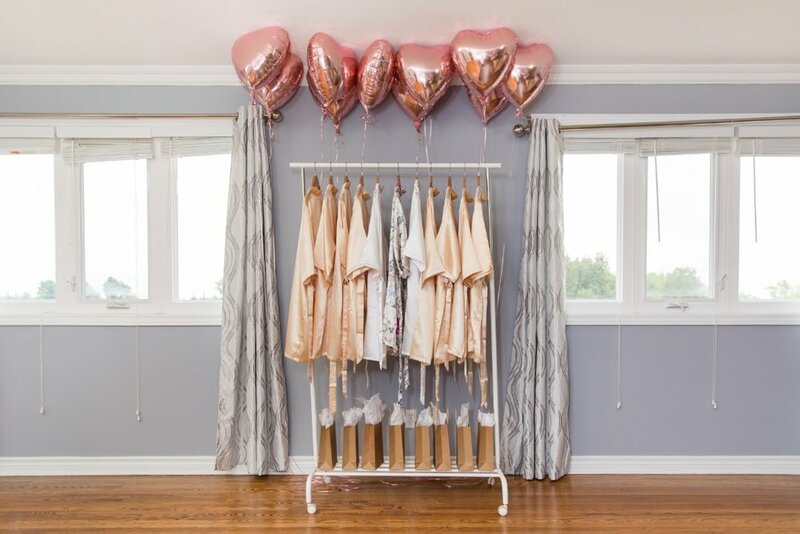 Bridesmaids, groomsmen, and all other guests - if you are on the stage, GET. YOUR. PHONE. OUT. OF. YOUR. HAND. This is not the moment for your shaky, terribly composed, and poorly lit photos or snaps #sorrynotsorry. This is about your loved ones and the pinnacle of their wedding ceremony. 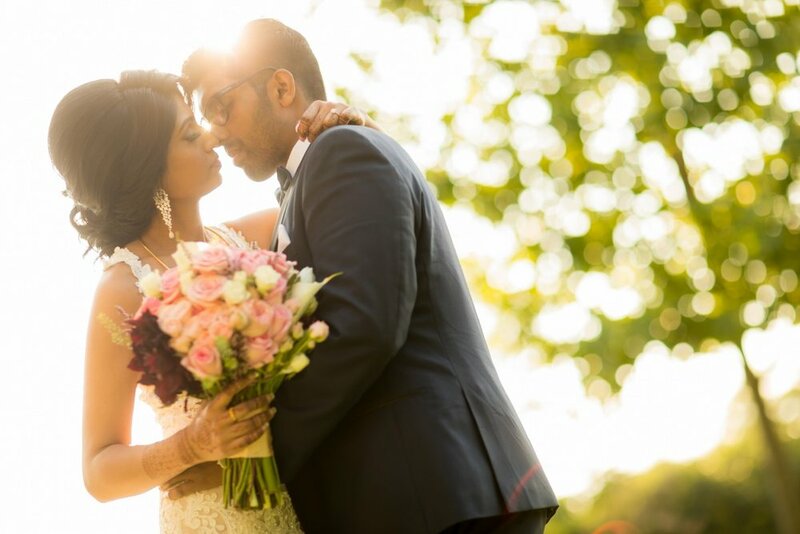 The couple has invested a lot of effort and energy (let's not mention money) into selecting their photographer and videographer, it is their responsibility to capture the moment and capture it well. Throw your flowers, pray, smile, send your good vibes... just leave your phone in the hands of someone who is off stage if you really want it that badly (then you can be in the shot too!). If you are going to be bringing your phone on stage - let it be for good! 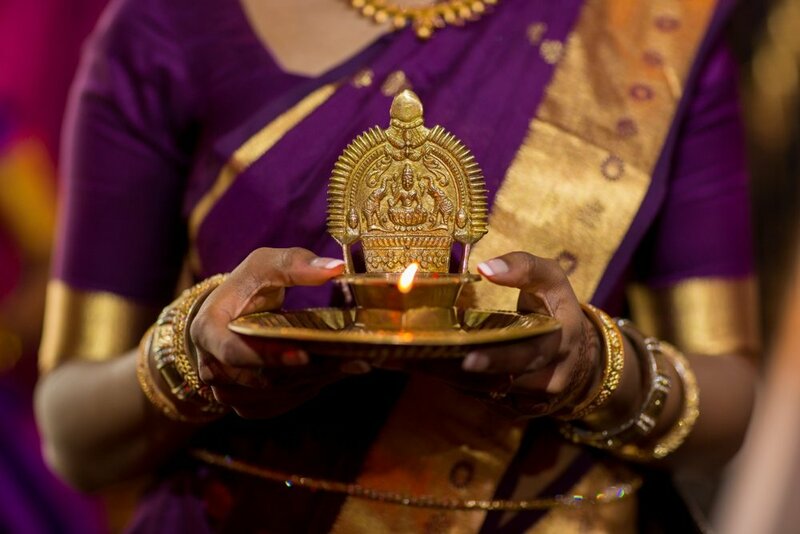 Here, Aingara's sister helps shine some light to ensure that the Thaali is secured to the max! She's literally helpin' a brotha out! 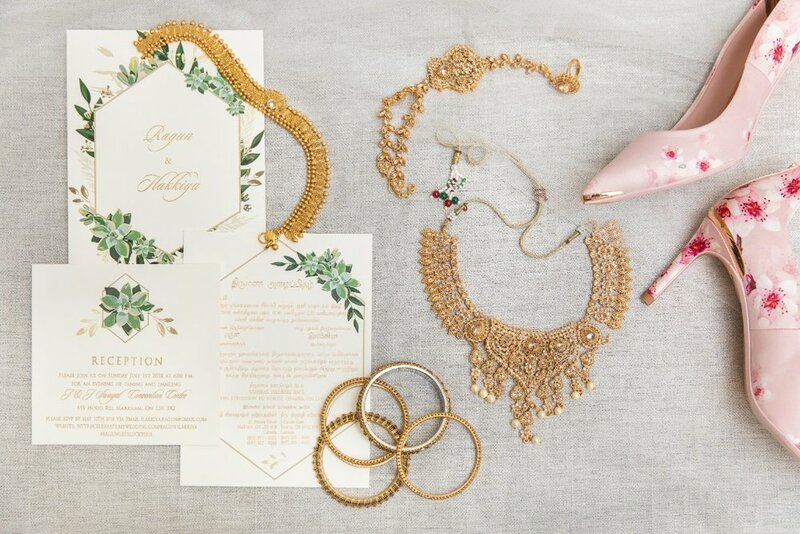 5) Not enough flowers - bridal party, this is all you! 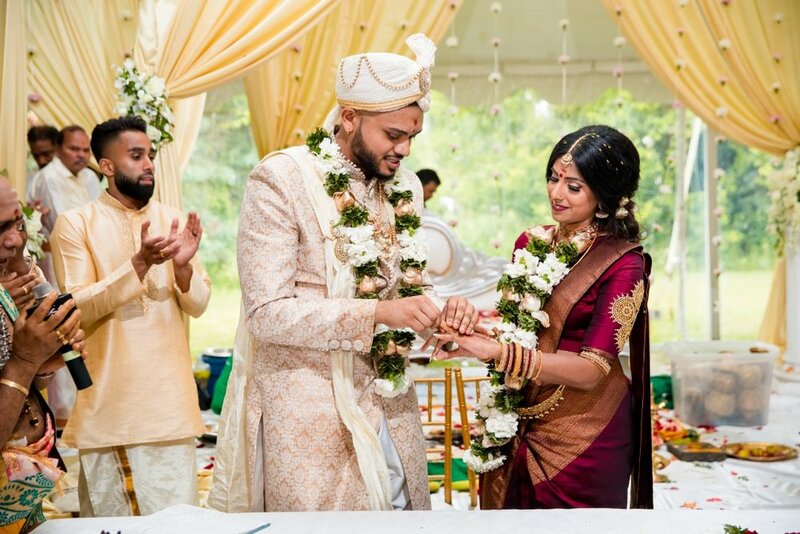 Don't wait right until the veil is being ripped off and the Thaali is going on to run and grab flowers. 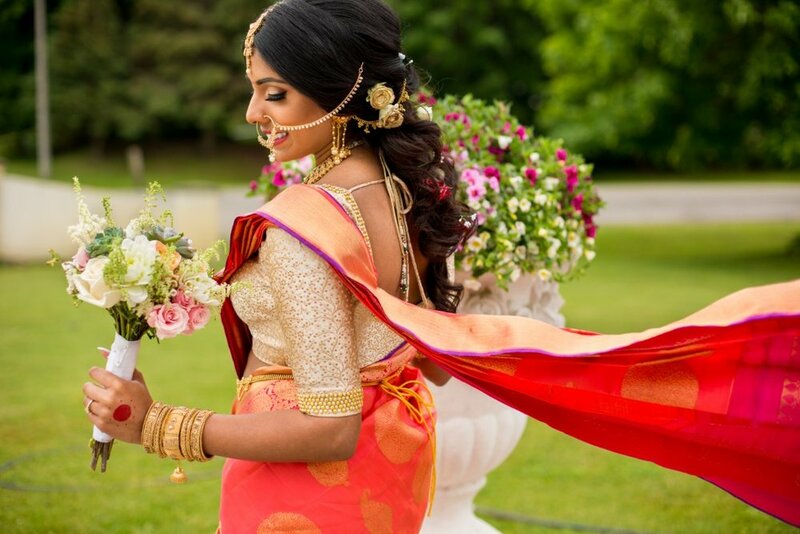 The flowers should be found and readied when the bride leaves to change, as soon as the bride comes back and puts that garland on, the petals go out to everyone because you've got no more than two minutes before that Thaali goes on. If you hand it out too, too early, it gets squished in and fall out of impatient guests hands. 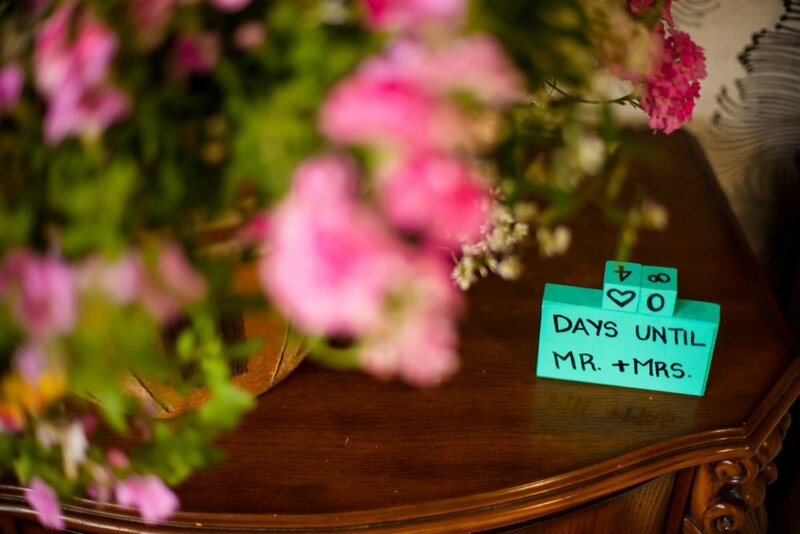 Brides - make sure that you plan accordingly to have lots and lots (and lots) of flowers for this moment! 6) Guests, now that you have a ton of flowers in hand, spread yourselves across the stage. A lot of Thaali photos are lopsided. Guests gather on the stage and they're all on the side that the stage stairs are. If you're a guest, go to the other side! 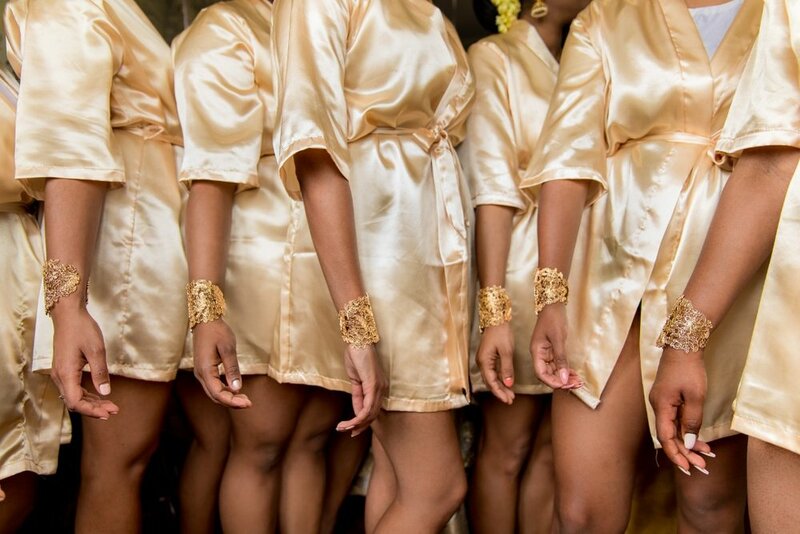 Bridal party - if you notice this off-balance, tell people to move! 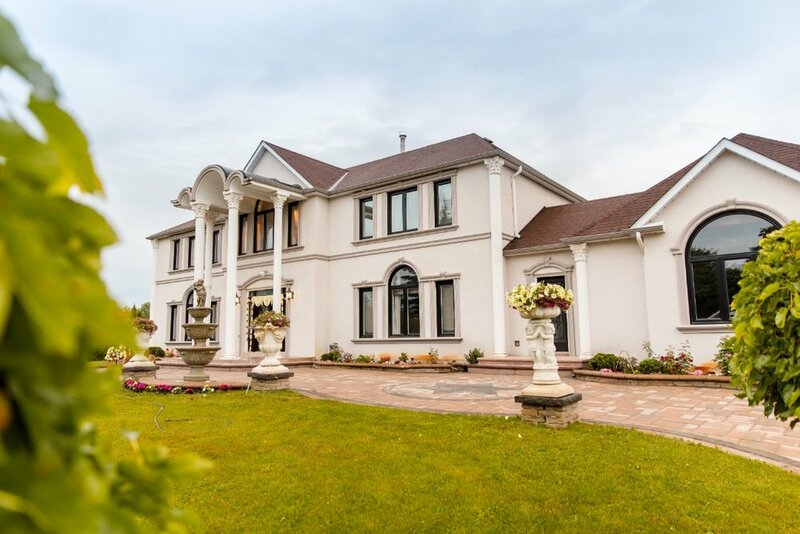 An even scattering of guests will bring balance to the photo and the showering of the flowers! When you throw, throw up, not directionally at the couple lol. If you stagger your throw to be just a bit after the original throw, you could give the photographer a chance at an extra click! 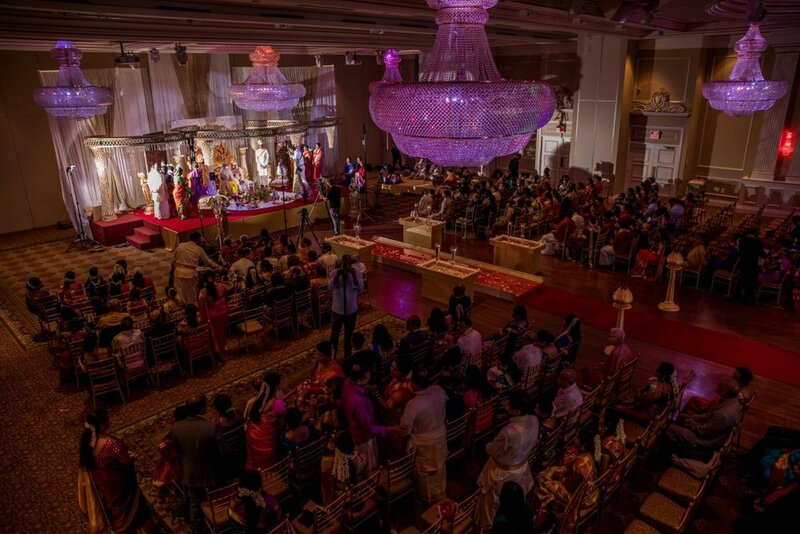 A well spread out crowd will give you a perfectly even flower shower! 7) Take your time! One thing to keep in mind is that the tying of the Thaali is rarely happening as slowly as you think it is. This is something that I'll go over in a future post with general wedding tips but so often I find that the people on centre stage think that they are moving too slowly and that everyone in the audience is waiting around for them to hurry up - this is rarely the case. Don't feel pressured; only you think it's taking forever. 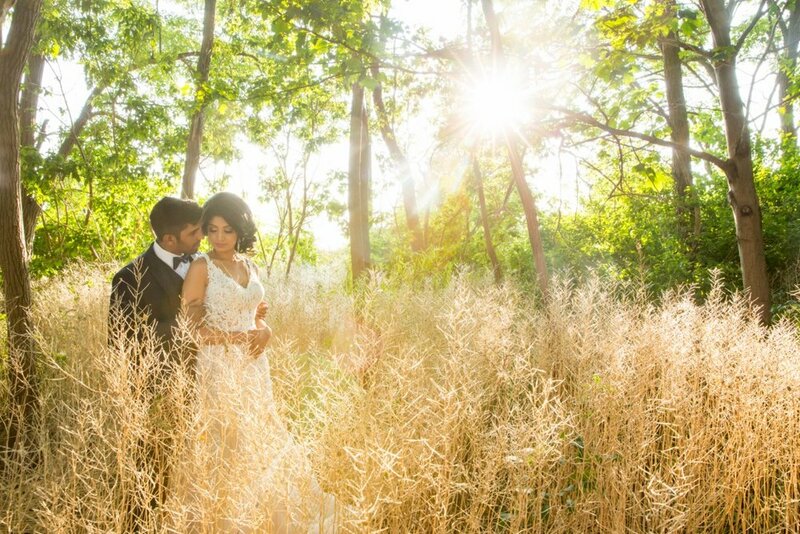 Taking your time can give your photographer a chance to click once more or even get another angle. If you've got extra tips, please feel free to comment below and I'll either do a follow up or add the advice into this article for future readers. Please let me know if you found this article helpful in the comments below and let me know what you would like to see more of on this blog. Wishing you beautiful Thaali moments, always! We’re here today with Shironisha and Mithun’s wedding and reception. These two were so amazing throughout the whole process. Both are extremely bright, established doctors yet you wouldn’t know it for how down to earth they are. Not only are they humble but their families are amazing as well! 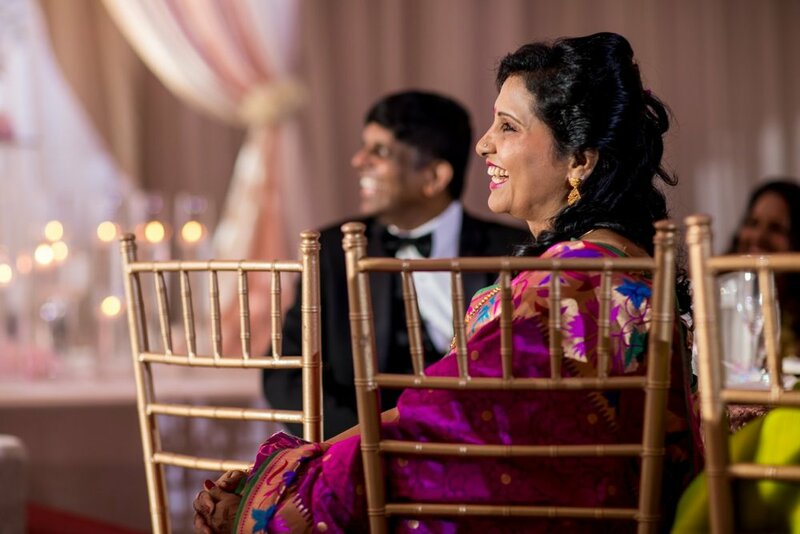 I remember even at their engagement shoot, Shironisha’s mom was already in reception mode and repeatedly reminded me that on the reception night, I was supposed to shoot for ten minutes of dance floor coverage and then join in on the party. This is something she clearly meant because on the night of reception, once the dance floor ACTUALLY started, she was trying so hard to get me on the dance floor! Haha! 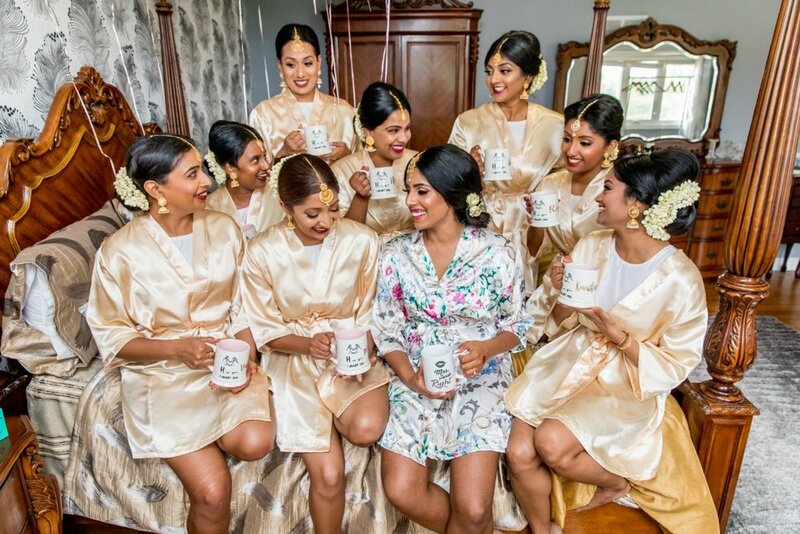 I love all of their photos but ones that stood out to me were Shironisha’s prayer session on the morning of the wedding. 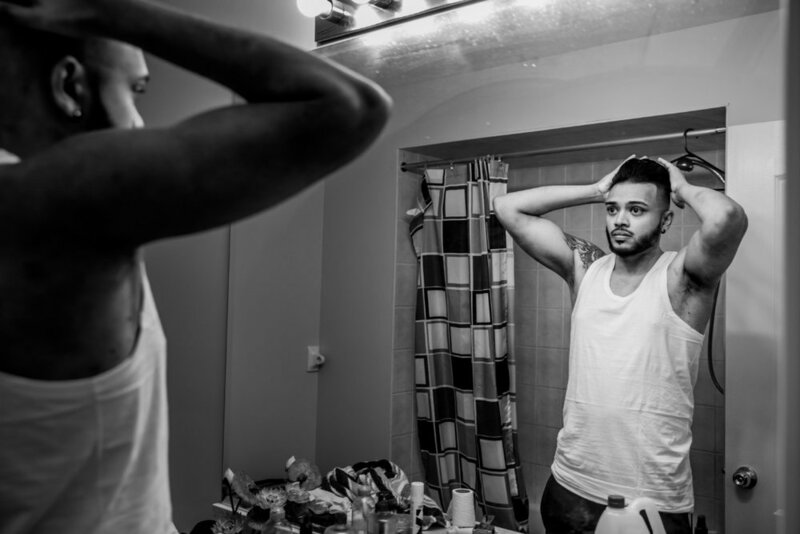 It was calm, serene, yet emotional - and I think the photos served justice to exactly how it felt in that room that morning. Photogs, if you have any questions about lighting, let me know below and I’ll respond or make it into a post if I think it merits further explanation. Another thing I thought was touching was the relationship between them and their parents. Not only did they have great relationships with their own parents but you could see the comfort, love, and ease that they had between in-laws. 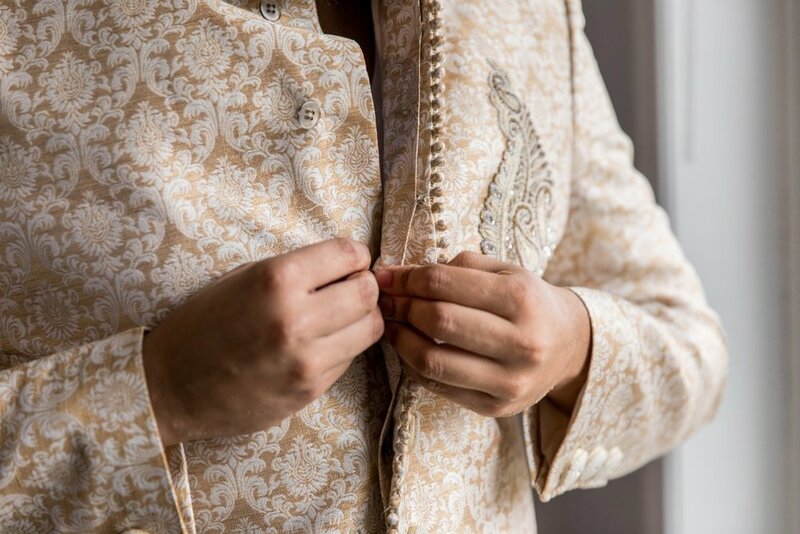 Weddings can become an awkward time for in-laws as people can push one way or another; many times, it shows through my lens on the wedding day. But with them they were comfortable in all directions - you can see beautiful moments between children with their parents, parents with each other, and parents with their new kids. It’s amazing how happy and successful an event can be when people put egos aside and do what is best for everyone overall. And they smile! Oh how they all are such positive, smiley, happy bunch! Makes this photographer’s job so much better! 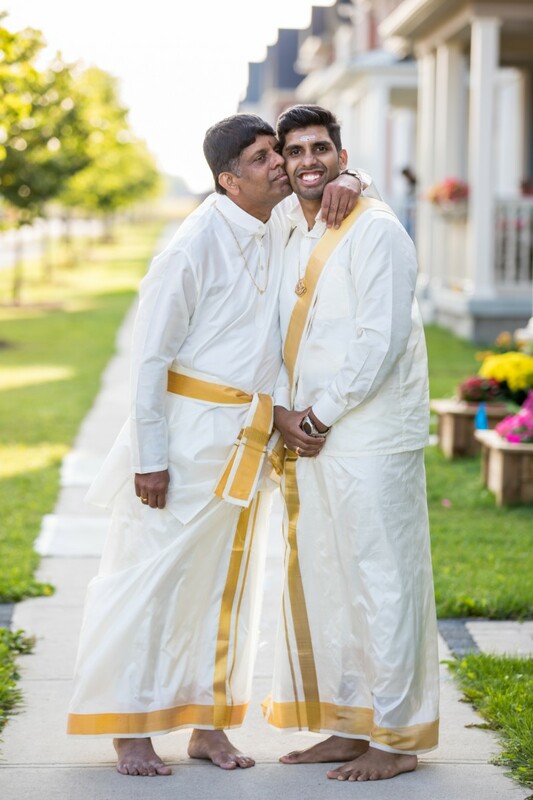 It's rare for South Asian parents to show emotion and sometimes getting them to smile is like pulling teeth. So I'm really happy when they're as easy going as all of these folks are. Amazing experience with everyone involved at their wedding! Hope you enjoy the highlights from their wedding and reception. Comment below with your thoughts and let me know what you’d like to see more of!